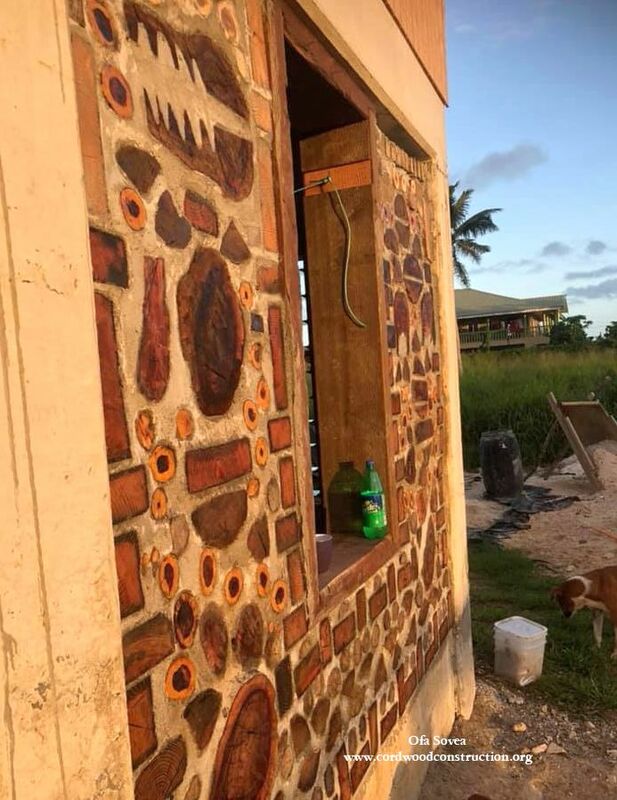 Ofa Sovea of Tonga, sent this message to the Cordwood Construction Facebook Group: “Morning all. 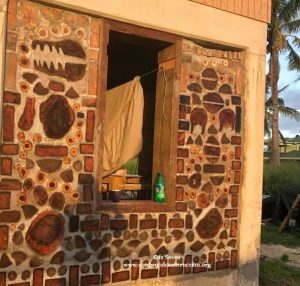 I’m building my house here in Tonga (located in the South Pacific). 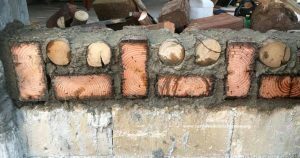 The squares are old lumber of Pine, were lying around outside twisted and no good for anything so I cut them up and its looks perfect n useful now. The small round ones are various native plant including Sandalwood and others. 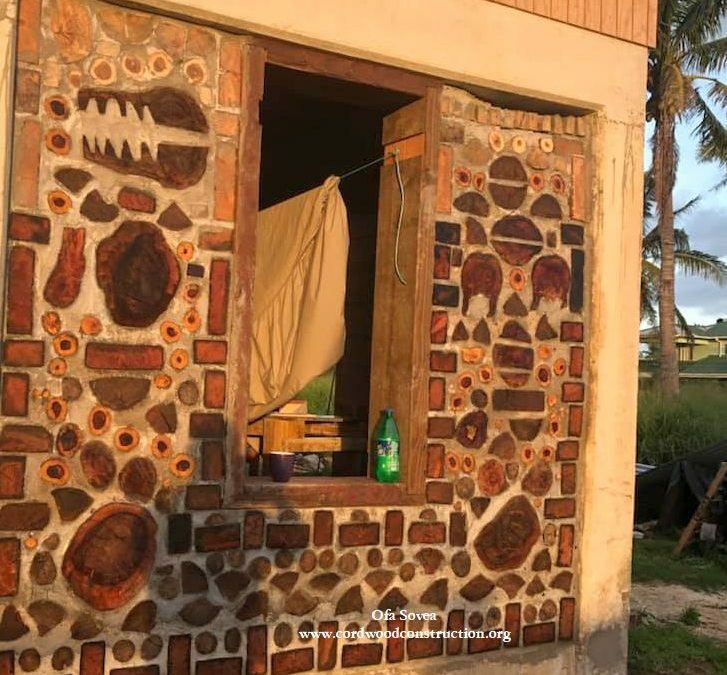 They felt down by the Tropical Cyclone in April this year so I save them from being used as firewood and have them as part of my house, carry a lot of sweet memories as I use to climb them and pick their fruit (lycee) as a kid. 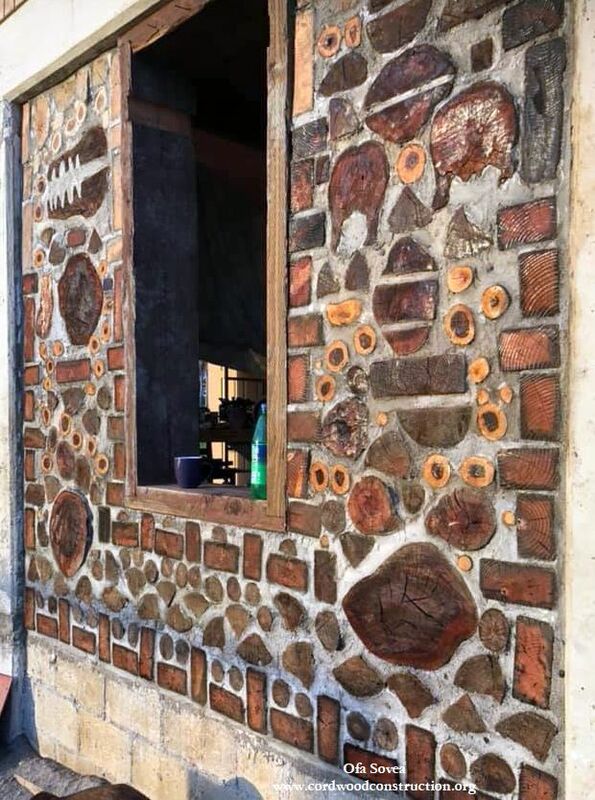 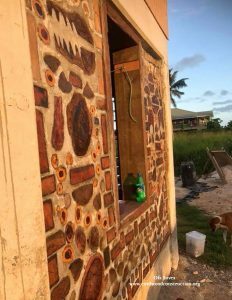 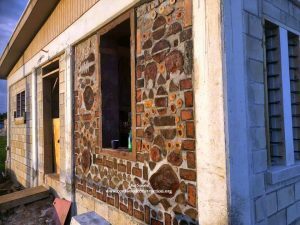 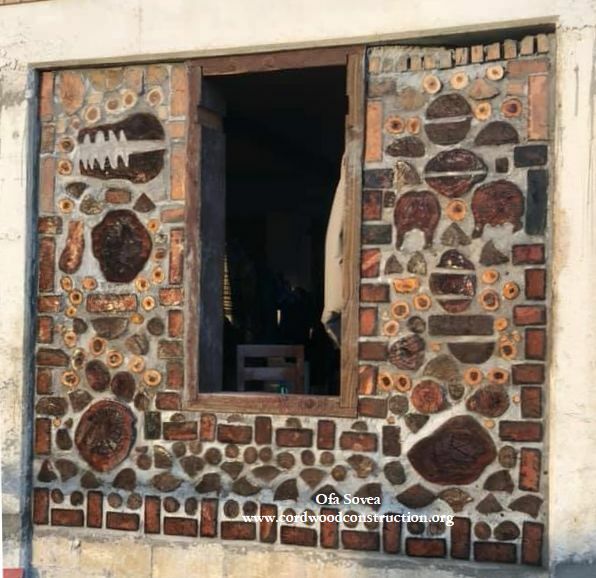 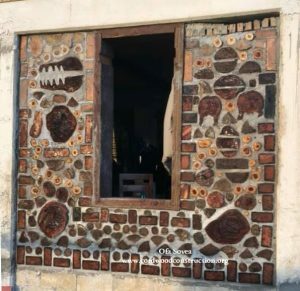 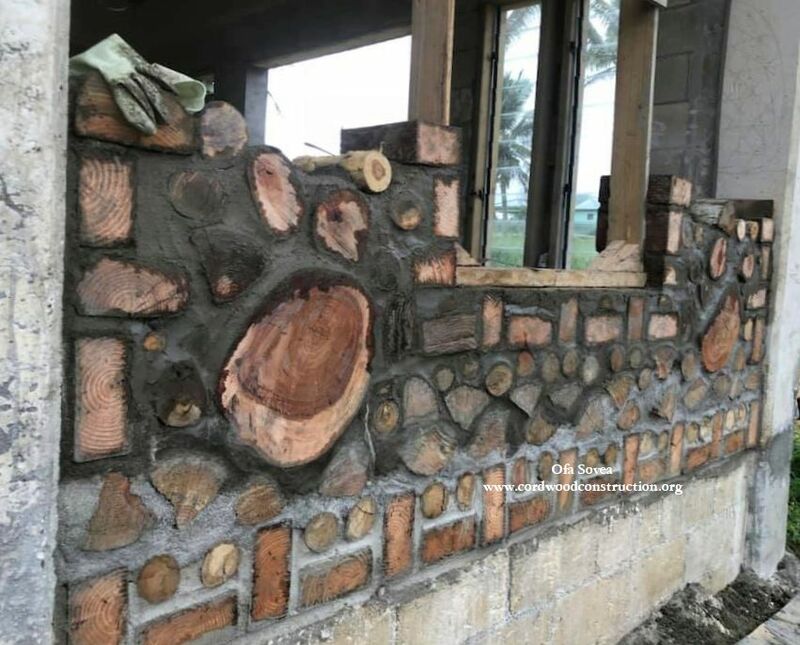 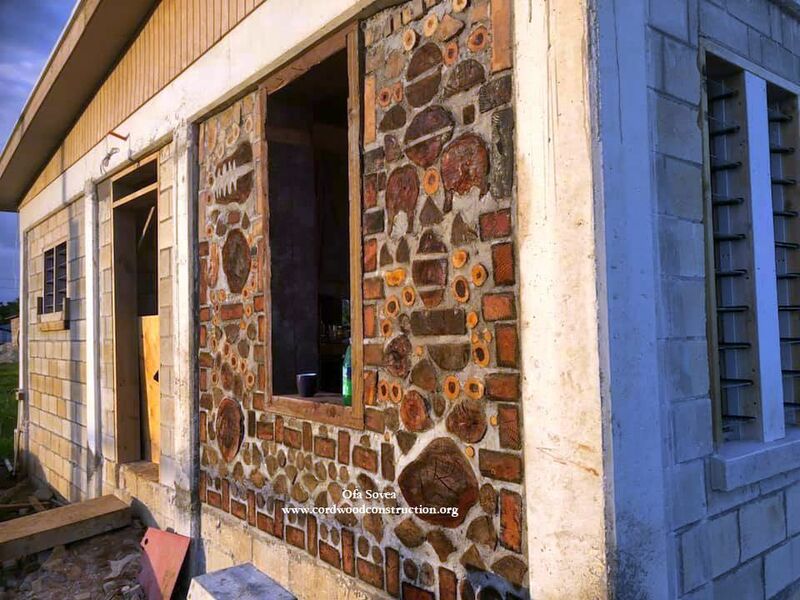 Thank you, Ofa for sharing your cordwood adventure in the South Pacific Island of Tonga. We look forward to your updates. Should you wish to learn how to build a cordwood cottage, cabin or home, please visit www.cordwoodconstruction.org While you are there, click on the pictures, read the brief articles, check out the latest workshops and newsletter and if you are interested click on ONLINE BOOKSTORE to see all the cordwood literature available in print and ebook format.